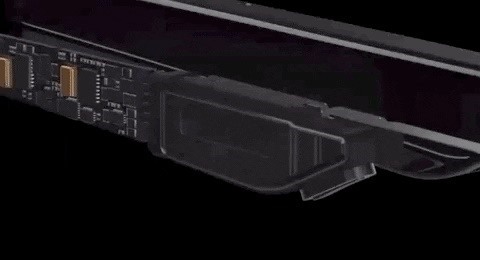 During Huawei's P30 smartphone launch event on Tuesday, the China-based company unveiled a surprise addition to its line-up: smartglasses. The device is launching in partnership with South Korean fashion eyewear company Gentle Monster. 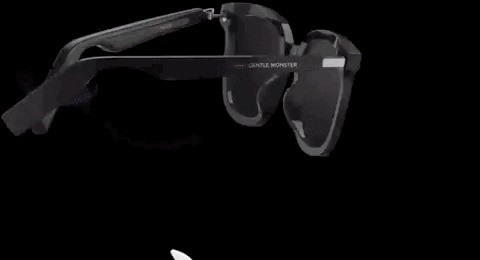 Described as "smart eyewear," the arms of the glasses contain dual mics, noise reducing stereo speakers, wireless antennas, a battery, and a charging module. The device also comes with an NFC contactless charging case containing a 2,200mAh battery. The smartglasses are also prepared for the elements, as they are IP67 rated water and dust resistant. Beyond the technical specifications, the company didn't reveal much else about the glasses. For now, all we know — based on the presentation video — is that the smartglasses are likely meant to be used as a replacement for Bluetooth headphones, allowing the wearer to send and receive the audio from calls on their smartphone, as well as listen to music. One particularly interesting part of the presentation was when Hankook Kim, the CEO of Gentle Monster, took a large amount of time to take a few shots at Snap's Spectacles. While speaking, Kim stood in front of a massive image of the Snap's camera glasses, which the company incorrectly labeled as the 2018 model. 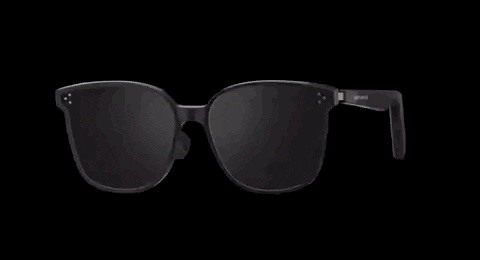 The version he showed is the original Spectacles model, which released in 2016. The updated versions from 2018 sport no yellow ring, and include fashion-friendly models that ditch the circular frame. Nevertheless, Kim focused on Spectacles as his target while using an inaccurate image. "[Spectacles] may be very smart, but I'm really wondering how many people here want to wear this? If there are not many people who want to wear this? How can this smart eyewear, made by a brilliant company, look like this? I don't know," said Kim, as the audience chuckled. "Maybe they focused too much on 'smart.' Maybe they forgot that smart eyewear is different from a smartphone or a smart watch. Because a smartphone is normally in our pocket. A smart watch is on our wrist. But smart eyewear is on our face. And as human beings, we all understand how sensitive we are, we care about our faces a lot. A small mole or a small wrinkle can change our impression a lot. So maybe we have to change the approach to smart eyewear." He then revealed several models of the "smart eyewear" line, which included versions with shaded lenses and clear lenses. And while the shots at Spectacles were amusing for the crowd, those shots were also incorrectly placed for reasons beyond matters of style. Snap's Spectacles feature cameras, which fundamentally change the way they've designed the frames. Alternatively, the only thing the Huawei x Gentle Monster smartglasses do is offer audio, which is easily concealed in the arms of the glasses. So this isn't just an unfair comparison, it's pretty misleading in a major way. The only real similarity the two devices share is a tapping interface. On Spectacles, you tap the side of the frame to check your battery level (the tap brings up a battery level light indicator), and on the Huawei glasses, it appears (based on the demo video) that a tap is used to answer and hang up a phone call. A far better comparison for Huawei's device would be the new Bose spatial audio sunglasses, which the company has decided to call "audio augmented reality." On that note, one thing Huawei "did" get right compared to Bose is that they're calling the device "smart eyewear" (aka smartglasses), rather than confusing some consumers by referring to the glasses with the term "augmented reality." Currently, there are so many terms being tossed around (mixed reality, spatial computing, AR, XR, etc. ), that calling something AR that doesn't fit the traditional understanding of AR (virtual objects, interfaces, and information presented visually) could easily lead some consumers to incorrectly assume they'll be able to view virtual content using the Bose glasses. Huawei avoids this marketing buzzword bingo and sticks with "smart," which was, well, smart. Huawei didn't announce a price or release date for the smartglasses, but the company promises that they'll be released later this year.